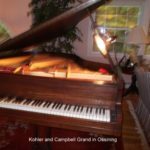 All pianos are best tuned when they are tuned to standard pitch. This is when A above middle C vibrates at 440 cycles per second. 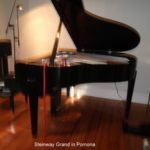 A piano tuned to standard pitch is best for practicing piano and essential for playing with other instruments or voice. 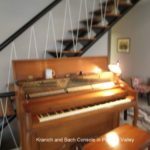 A lot of instructional or play along CD’s so common these days cannot be used if the piano is not tuned to standard pitch. 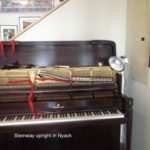 Tuning the piano twice a year is adequate for most people. Professionals will do this more often. 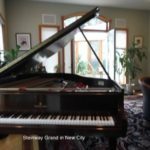 Temperature, humidity, and change of season play a large role as to whether the piano stays in tune. 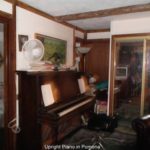 A concert piano is tuned before every performance and many times tweaked especially in the treble during intermission. Compare this amount of tuning to that of a guitar or violin, which are tuned every time you play them. 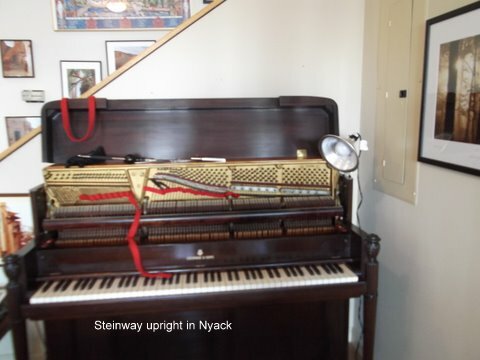 The strings of the piano hold as much as 40,00 pounds of tension. 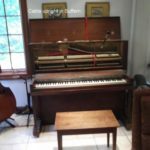 Pianos that haven’t been tuned for several years may very likely need a pitch raise to get them up to standard pitch. 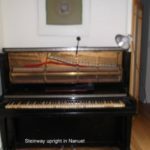 This a much more involved tuning and you will need a second tuning of the piano in a few weeks to stabilize the tuning. Remember you are playing around with 40,000 pounds of tension and the strings need some time to equalize their stress. 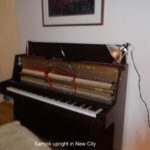 A very effective way of controlling the temperature and humidity in your piano is to install a climate control system. This helps to keep the piano in tune and prevent damage to the soundboard, bridges, pinblock , and action. If the climate conditions in your house are extreme this is a wise investment.